We are pleased to offer birthday gifts and flowers which we can deliver 6 days a week every week of the year. Our team of expert Aberdeen Florists can beautifully arrange flowers for you to be delivered anywhere in the North East of Scotland. With our network of florists we can also arrange your birthday flowers to be delivered throughout the UK and 140 other countries overseas. All of our flowers are top quality because we import them directly from Holland several times a week to ensure that they are fresh and therefore live as long as possible. Our Aberdeen Florists want your flowers to be up to the highest standard which is why we work so hard to ensure that everything we do is made from only the best blooms. 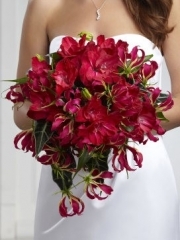 Aberdeen Flowers love arranging flowers for you for every occasion including birthdays. Sit back, relax and let Aberdeen Flowers take over on this special day so that you can spoil someone without even having to leave the house! If you have a busy schedule you need never worry because by ordering online or over the phone you can ensure that our skilled team of Aberdeen Florists will take care of everything you need to make this day perfect for your recipient. Trust Aberdeen Flowers to deliver everything you order right to the house of whosever birthday it is and know that we will treat all of your flowers and gifts with the amount of care we know they need. We have over 30 years of experience delivering flowers in the North East so we know exactly how to handle all of your orders, which we assemble on a made to order basis so that you know everything is done with you in mind. Our Aberdeen florists are also able to deliver a variety of gifts suitable for birthdays. Champagne & Wines are a wonderful gift to send on a birthday and with any luck you will be celebrating their birthday with them! We have Chocolates and teddy bears as well which can be sent with flowers or by themselves. 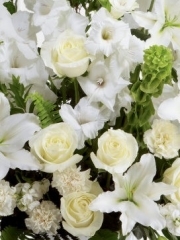 We are pleased to be able Same Day Flowers in Aberdeen for when you may have forgotten someone's birthday, then Aberdeen Flowers can help you. If there is something specific that differs from the flower arrangements available on our website, our Aberdeen Florists will be thrilled to take your bespoke order with as many details as you would like to specify so that you can have exactly the flowers you know they will love! Among our wide range of excellent flowers there is sure to be a combination of colours and varieties that will suit your taste down to the ground because we pride ourselves at Aberdeen Flowers on being able to provide flowers that appeal to everyone. Our Aberdeen Florists love creating your flower arrangements because it allows us to be a part of your gift giving, which is always a special experience since we love bringing smiles to people’s faces with our stunning arrangements. Order Aberdeen Flowers for that somebody special and you are certain not to be disappointed! We have birthday balloons suitable for special occasions as well. 18th, 21st, 30th, 40th, 50th, 60th and 70th. Our florists are also able to source other balloons for special occasions as well. We can make balloon bouquets which again can be sent by themselves or with flowers. Aberdeen Flower Delivery throughout the year, we also deliver personally throughout the North East of Scotland, as far as Banff and Buckie. 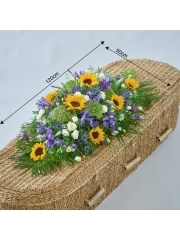 Speak to our florists to see what we can do for you.